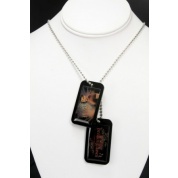 Show your Team Jacob pride when you wear this Twilight Breaking Dawn Part 2 Jacob Wooden Bracelet! 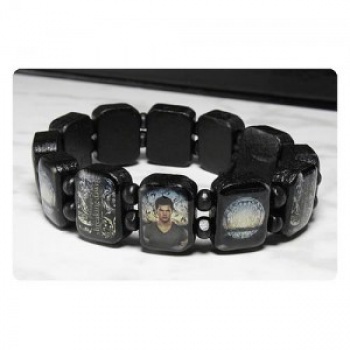 The bracelet is made from wood and features blocks that alternate between The Twilight Saga: Breaking Dawn Part 2 logo, the design on Jacob's tattoo, and a picture of Taylor Lautner's Jacob Black. 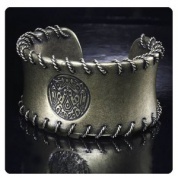 If you're a fan of The Twilight Saga then this Jacob wooden bracelet is a must-have! Ages 14 and up.